Canned tuna manufacturers in Indonesia provide excellent product that sold worldwide with varieties of canned styles. Indonesia is one of the largest tuna producers in the world that offer several of tuna products including tuna in can. 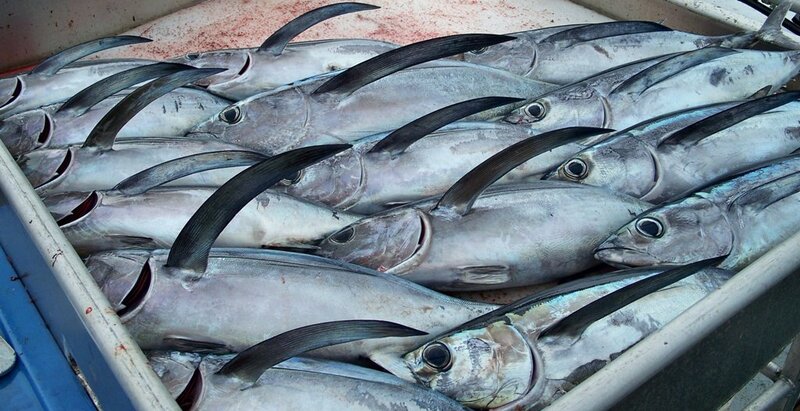 The raw material of tuna has been caught in Pacific Ocean where the tuna fish live abundantly. They use sustainable method to catch the tuna which promote eco friendly canned tuna product. When Indonesia suppliers produce canned tuna, they are also process the product in clean and safe environment. Canned tuna in Indonesia is rapidly growing widely and become one of the most preferable tuna products in the market due to the simplicity. Unlike fresh or frozen whole tuna which you need to clean on your own before cooking, using canned tuna is simpler because they are already cleaned. There are two product categories offered by canned tuna manufacturers in Indonesia: domestic canned tuna and export canned tuna. The domestic product comes with typical Indonesian spice flavors which really popular among Indonesian seafood lovers. Such tuna products are also suitable for any Indonesia cuisines and they are mostly produced without preservatives. They are really taste and available in local supermarket or grocery stores. The export canned tuna sold globally for top importers such as America, Europe countries, Australia, and other Asia countries including Korea, Japan, Singapore, Vietnam, Philippine, and many more. The suppliers not only deliver the tuna in can but also tuna in raw material condition. These products are specifically made with some standards that meet certain criteria, especially if the product is to be sold in worldwide market. Each country has different export import conditions which need to be taken when a tuna supplier wants to sell their tuna product. These conditions include proper method to process and deliver the products. 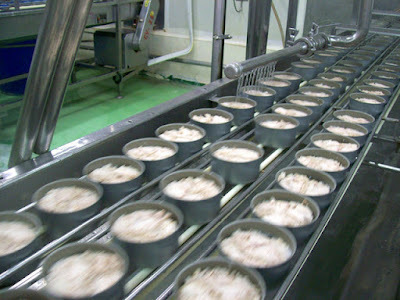 Before the canned tuna is packaged and delivered both domestically and internationally, the factory receives the raw tuna fish material to be processed in the facilities. Canned tuna manufacturers in Indonesia will inspect the raw frozen tuna fish before they are used as can product. 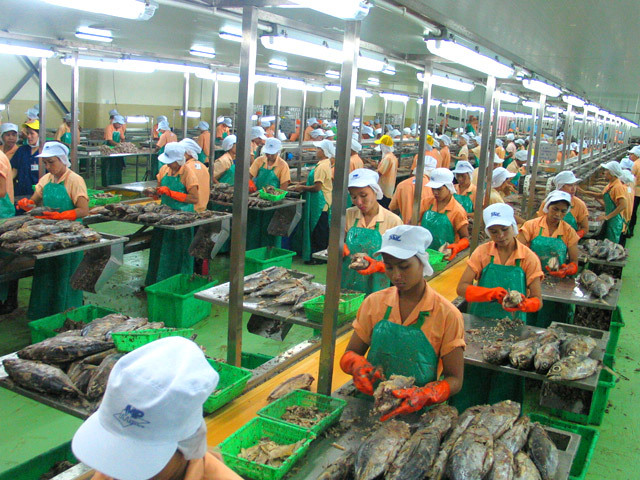 Each of the tuna will be sorted based on their specie, size, and the quality. Here is one of the reasons of why canned tuna made in Indonesia result in such a high quality product: the canned tuna manufacturers in Indonesia only use tuna in good condition. - The raw tuna is inspected and checked carefully if there are any conditions that show the tuna fish is not in great quality. This is conducted when the tuna unloaded from the truck or tuna vessel. Most of the tuna in the vessel/ truck is being frozen first when they are caught on the boat. This is to avoid the tuna rotten or degraded. - The selected tuna is sorted into specie, size, and the quality. The tuna is put into boxes with information label of size, specie, delivery date, caught date, etc. The tuna stored into cold temperature chamber to keep the freshness. And when the tuna is finally used, the frozen fish will be thawed with running water. - After the tuna is thawed, they are cleaned by cut right in the belly to remove the guts. The cleaned tuna is precooked in some huge steaming machine with some temperature and time setting. The precooked tuna meat is cooled down until they can be handled again by the workers. - The workers will clean the tuna by remove the head, tail, skin, and bones. The deboned tuna meat is then filled in the clean cans before sealed heretically. The canned tuna is vacuum packaged so the air will be sucked out following this process. Before the can covered with lid, the liquid is added into the can whether it is water, brine, oils, and other preservations. - The sealed can and then placed in sterilization chambers with hot steam to kill the bacteria or micro bacteria which might harm the tuna meat. Since the bacterial can be present in both inside the can or in the foodstuff, they need to be sterilized properly. After this process is done, the cans will be cooled with water and this is also in order to clean the cans from excess oils. - The cans will be stored for few days before they are being packaged and delivered in the market. This is required to see whether the canned tuna product is really in good condition. If there is any damage, the canned tuna will be swollen or broken. 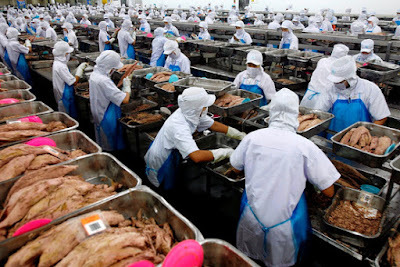 The chosen workers will inspect few samples of canned tuna products to determine whether the tuna can is safe and edible to be marketed and consumed by people. - If the inspection staff found nothing harmful or damages in the canned tuna then the product is ready to be sold widely. The canned tuna will be packed properly inside recyclable boxes. They will be packed based on the weight, specie, and the styles. The truck will deliver it to various destinations. Canned tuna manufacturers in Indonesia produce many brands with different qualities. Most of them have sold tuna in can for various importers outside Indonesia. The customers can even try to look for Indonesia suppliers to order Indonesia canned tuna product. If you want to experience tuna canned with Indonesian spice flavors then you can buy it online. The best thing about eating canned tuna is the nutrition offered by this product. Tuna is packed with omega-3 fatty acids, protein, vitamins, and minerals to improve your health. The omega-3 is good to keep the heart healthy while lower cardiovascular diseases risk. Meanwhile, the protein, minerals, and vitamins in the tuna fish can help you with your weight lost diet. If you want to order tuna in can then immediately contact trusted canned tuna manufacturers in Indonesia. Do not forget to choose only supplier with good track record.